Gown: Black, Cambridge-style, with extended open sleeves. A hood is also required to complete the outfit for graduation ceremonies. Hoods have degree-specific colours and can be hired or purchased separately. 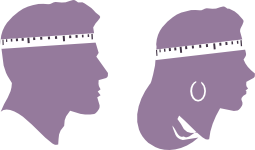 See the 'Sizing Guide' tab to choose the appropriate size of gown and cap.